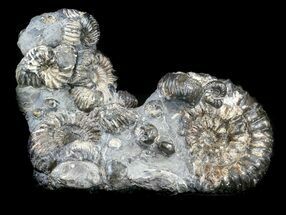 This is a very aesthetic cluster of Craspedodiscus ammonites from the Volga River in Russia. 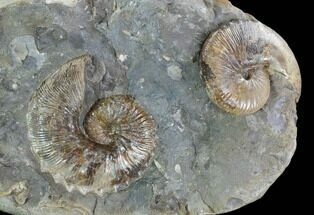 There are also a few Rhynchonella brachiopods on the plate as well as a second ammonite type which is probably Simbirskites. 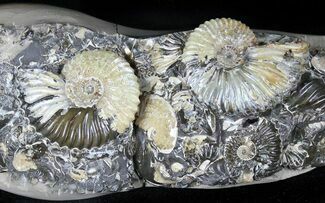 The largest ammonite is 3.35" wide and the entire piece is 5.8" tall. 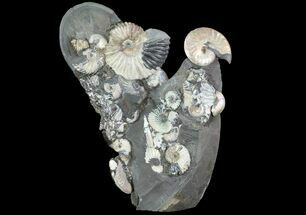 It has been very nicely prepared and the base has been cut flat so that it displays aesthetically on a flat surface. 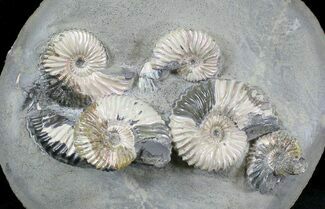 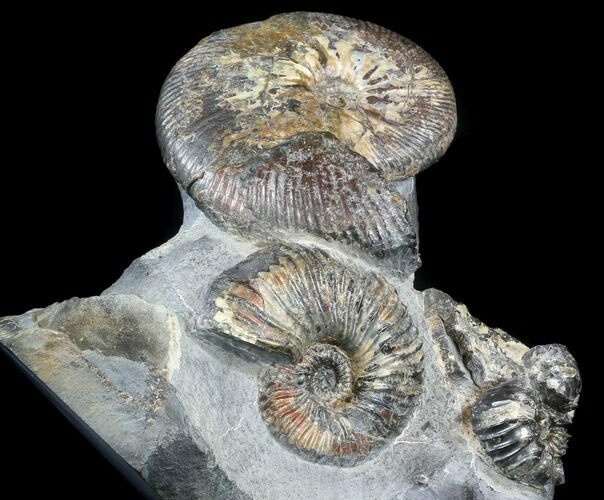 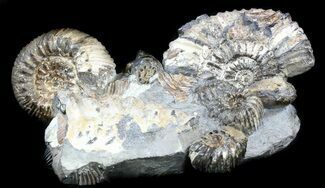 These ammonites are Cretaceous in age.